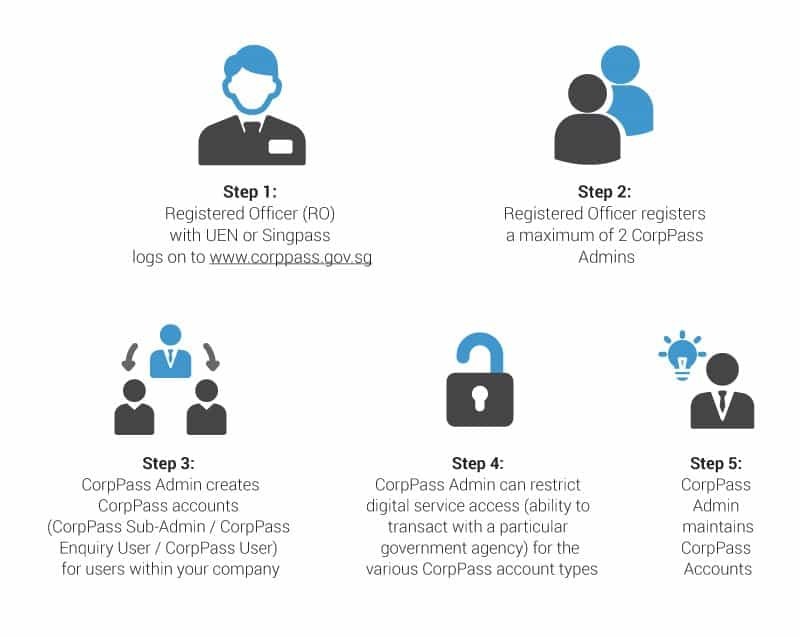 As announced by the Singapore Government last year, Singapore Corporate Access (CorpPass), which is the digital identity for businesses in the country, will the only login method for businesses to transact with the Government from September 1, 2018. This means that all other existing login methods, such as SingPass and EASY, will cease then. By segregating login IDs used for corporate and personal transactions, CorpPass enhances personal privacy and protects sensitive business information. CorpPass marks the first time that the Government is rolling out a single corporate digital identity. This creates opportunities for even more services and transactions to be provided online conveniently and securely. While more than 80 per cent of businesses that have regular transactions with the Government have already registered for and started using CorpPass, to better protect and manage their corporate data; the government is encouraging those which are left, to do immediately. The Government Technology Agency (GovTech) expects more than 250,000 active businesses to use CorpPass, which is another initiative which demonstrates Singapore’s commitment to creating better efficiencies and a more secure digital ecosystem for businesses to thrive in a Smart Nation. CorpPass has been progressively implemented by various government agencies from September 2016, and more than 130 government digital services are now using CorpPass as a login method. Notably, GovTech is a statutory board formed in October, 2016, after the restructuring of the Infocomm Development Authority. Following the formation of the Smart Nation and Digital Government Group in May, 2017, GovTech is placed under the Prime Minister’s Office as the implementing agency of the Group. At the moment, local entities with a Unique Entity Number (UEN) and foreign entities without a local UEN are eligible. Local entities without a UEN are not eligible. Though if interested, an entity may obtain a UEN by registering with an appropriate UEN issuance agency. Also note, that availability of CorpPass for foreign entities is subject to a provision by ACRA or other UEN-issuance agency’s digital services. whether you are a registered officer, CorpPass Admin, or a CorpPass user. Person(s) registered with the companies UEN can be the registered officer (RO). They can also choose to be CorpPass Admin. Also, there can be a maximum of 2 Admin accounts per entity, while there is no limit to the number of CorpPass users per entity. which can only be done by the RO, or the Admin nominated by the RO. Step 4 – Create CorpPass User Account. Though this step is not required if the CorpPass admin is the person who transacts with IRAS and has been granted access to all digital services – proceeds to Step 4. Do note that all EASY records as at July 24, 2018, will be migrated to facilitate the creation of CorpPass User Account. Step 5 – Assign IRAS digital services to CorpPass Admin. Again, this step is not required if the CorpPass Admin or user responsible to transact with IRAS has been granted access to all digital services in Step 2 or Step 3. IRAS digital services will be listed in CorpPass from August 15, 2018. CorpPass Admin can start assigning IRAS digital services to Entity and User from this date. All companies must first be authorised via CorpPass before they can log in to IRAS digital services. These include corporate tax filing and payment, GST filing and payment, property tax filing and payment, PIC Cash Payout, Withholding Tax forms, Partnership forms, Tax Clearance form, Automatic Exchange of Information (CRS and FATCA), e-Stamping, as well as submission of employment income records, donation records, and commission records. If your company has previously authorised a third party/tax agent to manage all tax matters in EASY, you need not re-authorise your third party/tax agent in CorpPass. Otherwise, please authorise your third party/tax agent. If you are a GST-registered sole-proprietor, GST group and divisional registrants; you need a separate GST CorpPass Admin account under your GST registration number. The GST CorpPass Admin account can only be used to authorise staff or third-parties to access IRAS’ GST e-Services and is different from the CorpPass Admin account which may have already been set up under your business’ UEN for other government digital services. Complete the form to appoint new GST CorpPass Admin or make changes to your existing GST CorpPass Admin. Send the form to IRAS as a pdf attachment via myTax Mail at least 5 working days in advance. This step is not required if the GST CorpPass admin is the person who files the GST returns – proceed to Step 3. GST CorpPass Admin: Log in to CorpPass to create GST CorpPass User account for the person who is filing GST returns for the business. Your EASY records (i.e. GST Approver/Preparer) as at July 24, 2018, will be migrated as a reference list to facilitate the creation of GST CorpPass User Account. GST CorpPass User: Receive an email notification from CorpPass to reset a password and activate your account. GST e-Services will be listed in CorpPass from August 15, 2018. GST CorpPass Admin: After the GST CorpPass user activates his/her account, select GST e-Services into the entity’s list of e-Services and assign the selected GST e-Services to the user account. If you are the person who files the GST returns, assign the selected GST e-Services to your own account. 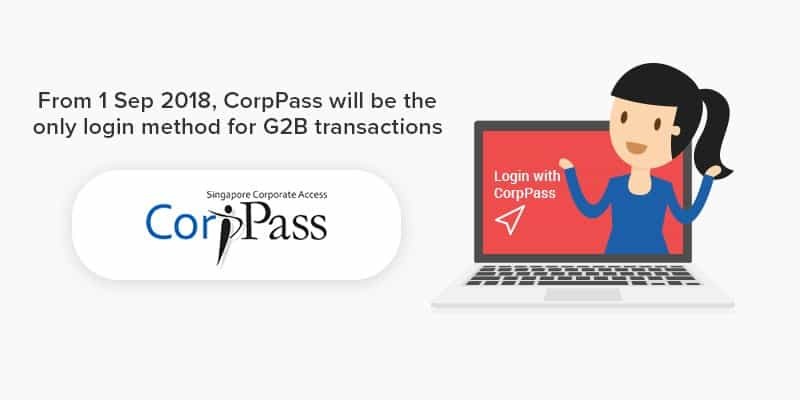 From mid-Aug 2018, CorpPass will be made available to foreign users without SingPass. These users need to set up CorpPass 2FA – a mobile application for non-SingPass holders. Register for CorpPass now to prevent any disruption to your business transactions. Let us do the work for you. We can double up as your company's CorpPass Admin, creating User accounts and managing G2B Transcatons on your behalf.